With the global transition of packaging with Chalk Paint® by Annie Sloan happening during 2019, a few colors will be changing slightly or a change in name may be happening. 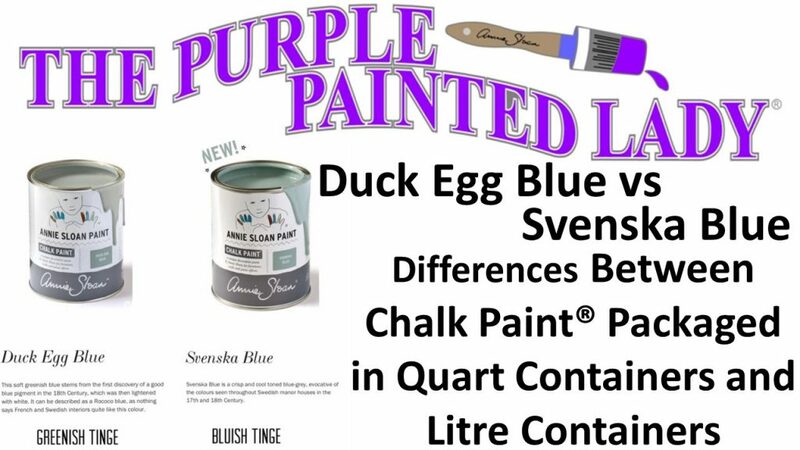 Please tune in to The Purple Painted Lady’s Facebook page on Friday, January 18, 2019 at NOON Eastern Time to watch us compare the Duck Egg from the past quart container to the new litre packaging of Duck Egg Blue. 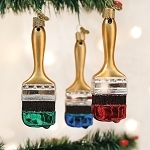 And also, paint with Svenska Blue (the European edition of the Duck Egg that was packaged in quarts in the past) I understand that this may seem confusing and we want to help you make sure when you are purchasing Chalk Paint® from us or anyone in your area, that you purchase the correct color! So, we will be painting with all three (Duck Egg Quarts, Duck Egg in Litre packaging and Svenska Blue) We are here to answer your questions- so please feel free to leave questions here ahead of time OR …once the LIVE begins, post them then. We will upload this video to our YouTube channel once done. 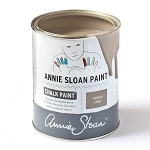 The Purple Painted Lady has an online shop but always promotes and highly recommends that you go and visit your local Annie Sloan stockist! they will have physical samples for you to see in person and to compare! !